After many years of designing, prototyping and testing, Force3 is proud to introduce the next generation of baseball face masks, the Force3 Defender. The Defender is truly an amazing technological creation that will revolutionize equipment forever. Independent tests conducted by one of the four independent National Operating Committee on Standards for Athletic Equipment (NOCSAE) approved testing facilities in the world, concluded that nothing comes close to the protection as the Defender. With virtually the same footprint of a traditional mask, the Defender's patent pending technology reduces the Severity Index of most impacts by up to 50% in most cases. G-Forces were also reduced with impressive results. Tests included impacts by 70mph softballs (NOCSAE standard), and 100mph baseballs (results available upon request). Currently the Boston Red Sox and Atlanta Braves are early adopters of the mask, and have several within each organization. 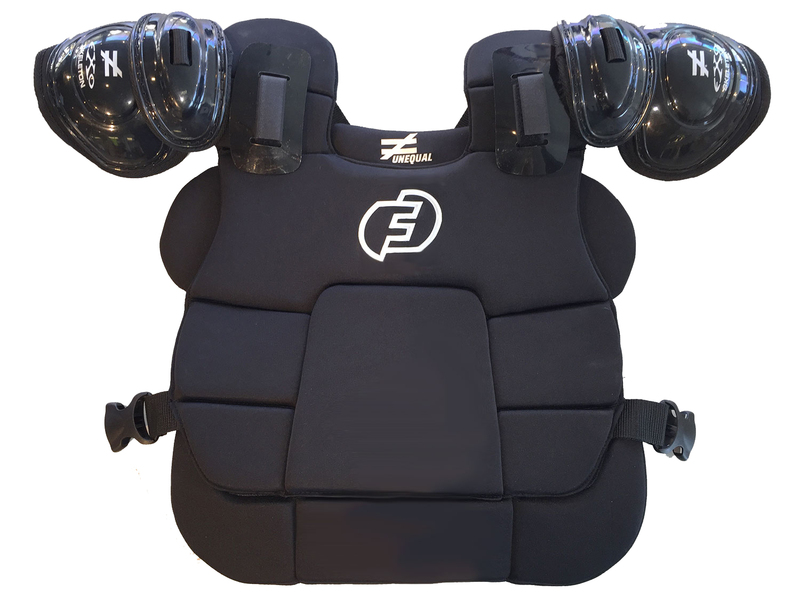 Features: - Lightweight tubular chrome alloy - Patent pending dual mask system with the Shock Suspension System (S3) built in - Single bar construction for optimal view - Unequal Kevlar lined padding - 4 different high-impact foam padding construction with special memory comfort foam on chin and sides - Powder coated for superior finish - Weighs less than 29oz. - Pads available in Black, Navy, Royal, Red. Will also offer Maroon and Green in the near future. - EXTENDED LIMITED LIFETIME GUARANTEE!!! We will replace, refurbish, or fix your mask after normal game impacts, up to 3 times within 5 years of purchase of your mask for only $99 each time. *Details available upon request, and included with every mask. NOCSAE� does not have umpire mask standards, and that these masks have not been certified as compliant with any NOCSAE� standard.